Star Wars: The Last Jedi was already a highly-anticipated release for fans, but since the death of Carrie Fisher last December, it’s tragically gained a bigger importance. Despite Episode IX originally being planned to be “her movie,” The Last Jedi will now be the final time we will see the beloved Princess Leia in action, but at least we can take comfort in the fact that we have some amazing scenes with Fisher to look forward to – like the one that Oscar Isaac recently discussed. 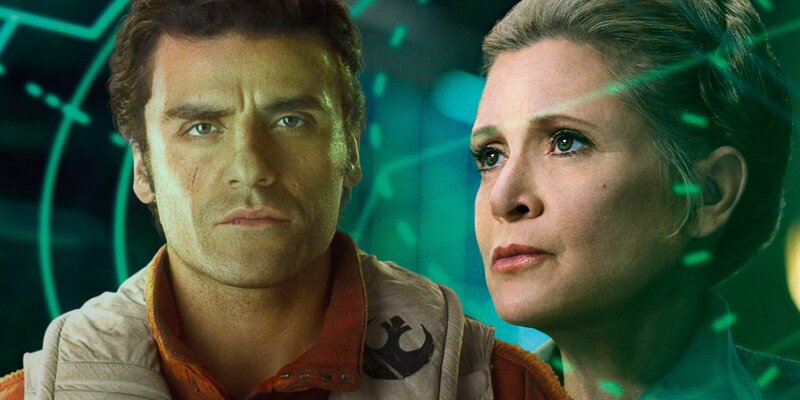 While appearing on The Late Show With Stephen Colbert, the man behind Poe Dameron talked about his working relationship with Carrie Fisher and the filming process behind one intense yet funny-sounding scene that they share in the movie. You can watch what he had to say in the video above (at the 2:50 timestamp). It’s good to know that we’ll have some scenes between Leia and Poe in the film, as they shared an interesting dynamic that wasn’t explored much in The Force Awakens. Likewise, though we wouldn’t have assumed anything else, it’s nice to know that Carrie Fisher gave it her all in what will be her last turn in the iconic role. Star Wars: The Last Jedi arrives in this galaxy on December 15th. And if you’re still looking for more, be sure to check out Vanity Fair’s gorgeous photoshoot of the cast that surfaced earlier this week.